The Best Kept Secret of Johnston County! 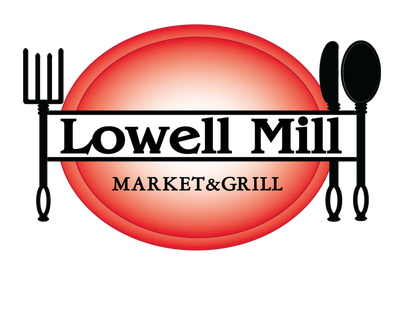 Lowell Mill Restaurant opened in May 2009 when Walter & Wendi Powell took over the existing restaurant in their family owned travel center. 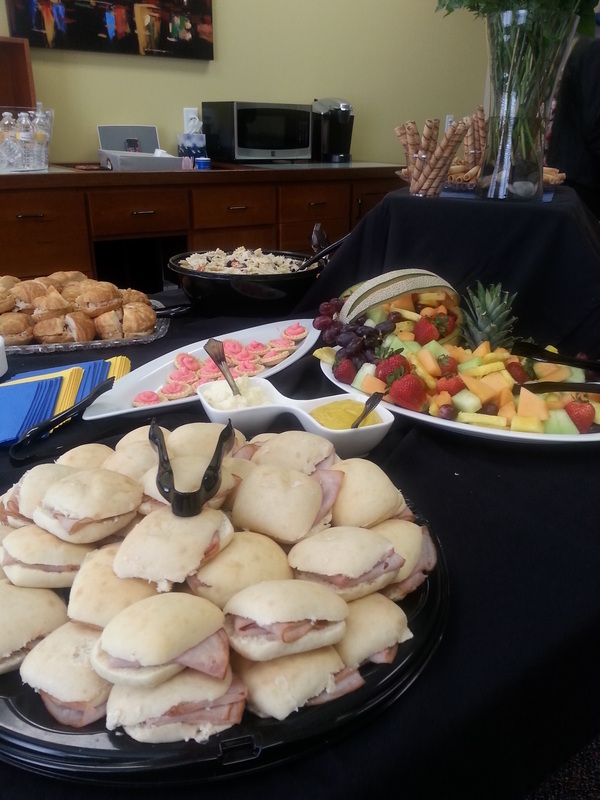 Their number one goal was to ensure that the traveling public could enjoy the distinct flavors of southern style cooking from their home state of North Carolina while getting a good dose of southern hospitality. When looking for a new restaurant name to represent the style of cooking and warm hometown atmosphere they provide, Walter & Wendi did what all true southerners do for inspiration, they looked into the history of the area. 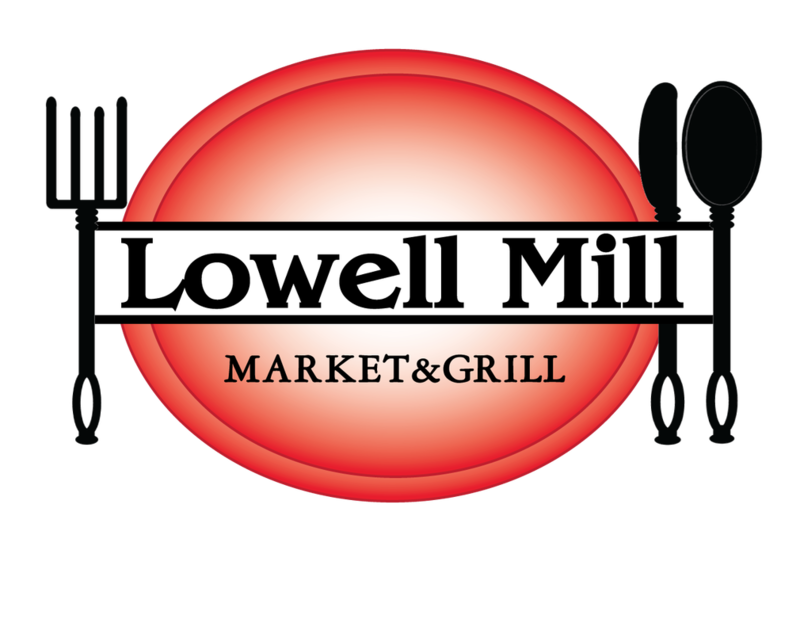 A mill named “Lowell Mill” was once located just behind the restaurant’s current location along the Little River. This community mill existed in the late 1800’s and was a center of commerce for the local folks and travelers. Although the mill and dam have since been demolished, the idea of a community gathering place where local flavors of North Carolina and southern hospitality could be shared sparked the feel they wanted to provide. “Come Home to Hospitality,” became more than just a tag line; it’s what their business is all about. After less than a year’s time from opening, Lowell Mill Restaurant was already awarded the “Business of the Year” award by the Kenly Area Chamber of Commerce (KACC). They look forward to developing their business through serving the local community and passers by for many years to come. 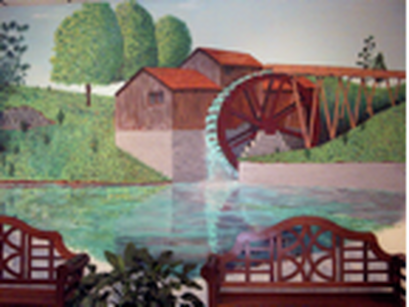 Featured at the top of the page is a mural by artist John Cris. This is his interpretation of what the mill may have looked like in the 1800’s. Come by and enjoy a home cooked southern style meal and browse the one of-a-kind handcrafted items from local artisans. 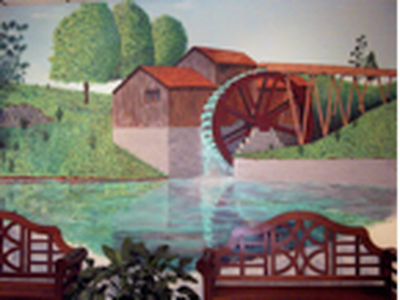 Whether its handcrafted pottery, wood works, Acrylic paintings or preserved foods we hope you’ll enjoy your dinning experience at The Lowell Mill Restaurant.